The Art of Total War is the companion artbook to the Total War series of games released over the years. Also included are artworks for the upcoming games such as Total War: Attila which is scheduled for a February 2015 release, and Total War: Arena that is still in the testing phase. Those titles have considerably less pages devoted. 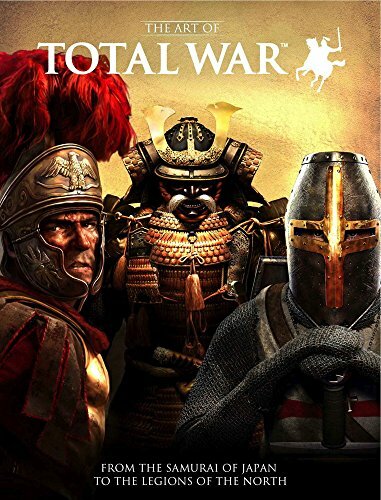 For Total War fans who have been following the series since 2000, this artbook will be a nostalgic trip down memory lane. The artworks consist concept art for the characters, locations, buildings and several battles scenes and miscellaneous stuff like maps, ships. The style is a mixture of computer generated art, painted works and 3D renders. For what I see, a big portion are computer generated art. Quality is generally good, but it gets progressively better with the newer games. The early games clearly have the low polygon characters. The more unusual artworks would be those Japanese woodblock art-inspired ones used in Shogun 2. Those are the illustrative style as compared to the more realistic style that the game is trying to portray. The Total War Battles series also have their own style that's different from the main series, especially for Total War Battles: Shogun. Some of the more beautiful scene paintings were used as loading screens. The highlight of the book besides the art would be the commentary that talks about how the games have evolved under developer The Creative Assembly over the years. It's interesting to read about the history of game development and how battle mechanics, gameplay and art are all woven into one. Since the games are based on history, there's also some writeup on the historic accuracy of the games and the compromises made. As there are so many games featured, it's not possible to cover each in detail. Only selected pieces of artworks from each title are featured. I do feel that more could be included. Overall, it's a good artbook for fans of the Total War series.